LinkedIn has quickly become the elite of social networking sites for professionals. Unlike Facebook, which encourages you to share what movie you saw last night and where you went on vacation, LinkedIn is focused on professional people and how to make connections to learn more about jobs and industry leaders in their field. Many students know about and have used LinkedIn, but I’m still surprised at how many have either never heard of it or who say they started a LinkedIn profile but never finished. The value of LinkedIn is through connections. Building connections on LinkedIn is easy once you understand their value and once you get the hang of it. Once you've accomplished this, you should be able to land that internship. Supervisors usually have their LinkedIn profiles public to reach out and make connections with people currently working or looking to get into the field. Companies can participate in LinkedIn groups where they can communicate with individuals who are interested in the company or in a specific career field or industry. Recruiters and company management can search for people based on their knowledge, skills, and previous experience, and can check out their employment history to see if they would be a good fit for the organization. 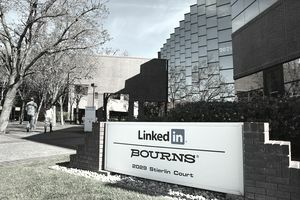 LinkedIn provides a way for people to find potential contacts with whom they can connect to learn about potential internships or jobs. Make your profile as professional as possible. Your profile is how you will represent yourself online. It’s important to take the time to create an effective profile on LinkedIn that will get results. Be sure to include all of your past history, such as education, academics, volunteer, activities, summer jobs and internships to represent yourself professionally online. Your LinkedIn profile will act as your online resume, so it’s important that it’s detailed, complete and has no errors. Be honest, truthful and don't embellish. Be sure you use a professional looking photo in your Profile that will make you marketable and recognized across the web. Build your network. If you connect your email address with your profile, LinkedIn will automatically scour your contacts for any possible connections. You can also search for and connect with people who have worked with or attended school with you. An excellent way to find previous colleagues, managers, professors, peers, and even alumni of your college is to use the “Advanced” button on the right side of the search bar. It is here that you can enter a keyword, first name, last name, title, company, school (college), and location to find people you may want to connect with. You will also get invitations to connect from those who view your Profile and want to connect online. And remember to keep updating your list as you move ahead in your career. Get recommendations. Ask the people you're connected with on LinkedIn to provide a recommendation on your (past or current) performance. This may be a professor or a previous employer. Supervisors and people hiring for internships will check these out, so don't discount their power. And remember to return the favor if you're able to—it's a professional courtesy if you can provide a recommendation for someone who's done the same for you. You may want to check out this video, “How to Ask for References After an Internship,” to better understand the reference process. Check with your college or academic department to see if they have a LinkedIn group where you can instantly connect with thousands of people who have already joined and are participating on the site. You can also join other groups based on your professional interests. So it's a good idea to search for any groups that may lead to future internships. You can search for internships and jobs on LinkedIn. Check out companies and the job search section to uncover opportunities in a career field and location of interest. You can also reach out to your connections to lead you in the right direction. LinkedIn now makes it easier to apply for a position. If you find an internship that you just can't pass up, you may be able to apply directly through the site. LinkedIn has an "Easy Apply" button that allows you to upload a cover letter and resume that will go directly to the recruiter. If a job doesn't have that button, the "Apply" function also makes it easy to put your name in the hat. It may direct you to the company's website, landing you on the page for that specific internship. A lot of companies will also take out the guesswork in who is doing the hiring by posting the recruiter's name and profile on the internship opportunity on LinkedIn. If you need to, you can message the person directly with any questions you may have. All you have to do is get started. Once your profile is established, you can begin using all of the functionalities that LinkedIn was set to do. It’s quite easy to maintain and, unlike Facebook, you won’t need to change it on a daily basis. Updating the information every few months is enough and don’t feel that you have to connect with everyone that wants to connect with you. Making the most of the site and your profile may help you get that much-needed internship—and get your career going.